We got in touch with Econet to establish their position on the new WhatsApp calls and the company’s response is that they’re not worried at all. That VoIP apps would come and move the cheese is something they saw long back he says and that they are already well on their way to a reengineered core not reliant on voice revenue. “Econet does not see such new technology as a threat” Econet Zimbabwe Corporate Communications Manager, Rangarirai Mberi told us today in an email. 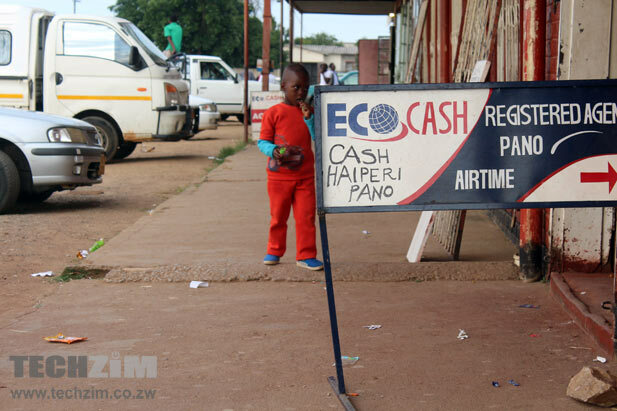 In the past couple of years Econet Zimbabwe has successfully introduced services like EcoCash (and a slew products atop it) Broadband bundles, Education products and Insurance amoung other products. How much fruit this has bore to date is ofcourse difficult to measure right now, and will only be clear when the company announces its annual results due weeks from now. The strategy, Econet has said a number of times, is to encourage and be part of as opposed to trying to frustrate new technology changes that disrupt their traditional revenue streams. But even as that is the official position, Econet has long been accused of throttling WhatsApp traffic, especially that using from their app bundling service. Mberi however told us today that they are not throttling or blocking any WhatsApp traffic at all. Another representative from the company, who called us on WhatsApp using their mobile data to prove everything is working fine – we wrote earlier that we have been unable so far – told us they were calling each other fine over 3G and that our problems achieving the same was probably just a poor signal issue in our area. With WhatsApp not working so well currently on mobile data, its hard to see just how much Econet is prepared to take up this opportunity they see, if it is indeed that. What is certain though is that more people will find it more natural now to try VoIP calls over WiFi whenever they find a connection. Whether the other end is able to receive the call is something else. Other big operators globally have not been as receptive to WhatsApp Calls and other apps like it – Viber, Skype, FB Messenger etc… In India for example, Hindustan Times reported that Airtel proposed to start charging subscribers extra money per 10 KB data when they use VoIP applications. VoIP is a very disruptive technology.They have to put up a brave face. It is a question of time before that service eats into their Voice revenues.No rocket science. We in fact see it as an opportunity to offer new possibilities for our customers – Meaning we are going to change the whatsapp bundle and add maybe google apps to it, then charge $20 a month for both. Econet will not take this beating lying down. twitter went the way of the dogs as soon as twitter video came about. That said the speeds today on econet are impressive although still behind net*one. Maybe contention issues on the base station in question? Econet will not die…..Though whatsapp calls are disruptive I am sure they are prepared as they saw it coming. With HSDPA there is the possibility to offer the end user up to 14.4Mbit/s. How often or how many users will be able to achieve this throughput will obviously depend on network and radio conditions as well as the type of terminal being used. A more reasonable scenario will see a large number of users with a category 6 HSDPA terminal allowing them to communicate at data speeds up to 3.6Mbit/s. However with 40 user users per cell 500-700kbps which is plenty for a call. Econet generally built a network that could handle more users than they have so I dont think they will sweat on the capacity issue. The issue will come in the lost revenue and i foresee a situation where they would raise the cost of a bundle or add something e.g. Google Apps / Facebook to justify the cost increase. If they adopt the Net*One $1 per day logic, they may accept that it is better to make $3 a month per user than it is to make $0 and they may keep the price as is. stats stated above are based on UMTS Forum White Paper: High speed wireless broadband from HSDPA to HSUPA and Beyond. No one said Econet will die.Econet does not operate in a vacuum.If they were that big why do they rush to seize equipment of people who carry traffic from outside Zim ? Yesterday tried using the app over mobile data couldnt even hear my friend in SA but when i switched to Wifi we spoke for almost 10 mins without any disruptions. ever since they introduced facbook bundles, econet has become very slow save for a few areas. they are throttling the speeds and they know it. we all cant be facing the same problem everywhere. you all on Face all the time! This coming from the company whose unlimited text message service is apparently limited. And if they are fighting people so hard on SMS, I wonder how fairly they are playing on IMs and VoIP. These guys say a lot of great stuff…. If you updated your Whatsapp then you need to have someone with the calling function to call you for activation.